At last, some good news for women plagued by the pesky lumps and bumps of cellulite, Cellulaze, a treatment that will smooth the skin’s surface and get rid of ‘orange peel’. With Autumn approaching, now is a good time to start getting the body in shape for next year’s beach parties. 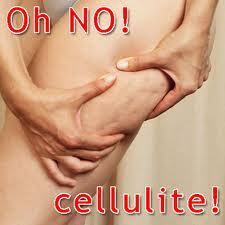 What causes cellulite? The jury’s still out on the actual causes of cellulite but it is widely thought that genetics plays a big part combined with hormonal changes post puberty and the negative effects of 21st century living such as poor diet, lack of exercise and too much stress which in turn can cause sluggish lymphatic systems and circulation. Water often becomes trapped in the skin’s deeper layer (the dermis) causing micro swelling which results in tissue thickening; fibrous strands also develop which pull on the skin surface resulting in the sadly very familiar dimpling or orange peel effect. How does it work? Treats the underlying structures that cause the unsightly, dimpled appearance. The laser cuts through and breaks the fibrous bands pulling down on the skin surface, whilst thickening the upper dermis and improves elasticity through stimulation of collagen production. This entry was posted in Cosmetic Plastic Surgery and tagged Angelica Kavouni, antiageing, beauty, bikini body, body shaping, Cellulaze, Cellulite, Female plastic surgeon, health, Laser, liposuction, London plastic surgeon, Lymphatic system, Ms Angelica Kavouni Cosmetic Plastic Surgeon, Skin, skin tightening. Bookmark the permalink. 2 Responses to Angelica Kavouni talks lumps, bumps and cellulite on SKY TV, also demos Cellulaze, the new cellulite treatment that works!